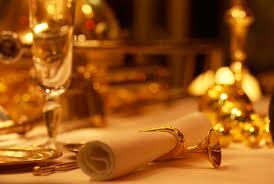 I’m sure that everyone has pondered, from time to time, who exactly they would invite, if they had their druthers, and could choose from the vast list of possibilities, living or dead, that have occupied this planet at one time or another, to be guests for an entertaining and eventful dinner; and I’m certainly no exception. But what would be the criteria? First, I think, they should offer the possibility of entertaining company – good story tellers and raconteurs. Second, their contribution to the world, as I know it, should be incontrovertible. Third, the time frame of their lifetimes should be recent enough to give me a comfort level familiarity with their accomplishments, physicality, and behavioral traits. No need to drag up history’s behemoths – after all, this is a party. So, we can automatically eliminate dinosaurs of yesteryear like Jesus, Leonardo da Vinci, Joan of Arc, Aristotle, Alexander, Julius Caesar, Torquemada (although I’m tempted), Charlemagne, Themistocles, Mozart and Napoleon. 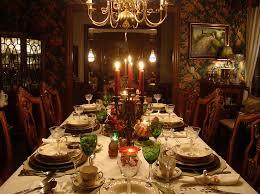 Besides, none of the aforementioned spoke English, which will be the lingua franca of this little get together. So, let’s stick to fun folks from the Twentieth Century, who are liable to make me laugh, engage me in insatiably interesting conversation, and sometimes simply make me stare in awe. None of my selections are still among the living, not that having died is a criterion, but merely a coincidence. Like top ten lists, this assortment of dinner companions reflects the subjectivity shuffle – your guests, I’m sure, would differ from mine. But, for whatever it’s worth, here’s who I would invite. 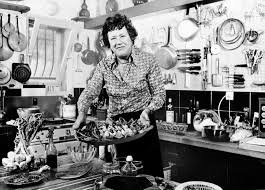 Chef, Teacher, OSS Spy (Yes, she did work for Wild Bill Donovan in Ceylon during WWII), and an unusual and endearing Television Personality – The woman who taught America how to cook. Her seminal volume Mastering the Art of French Cooking forever changed America’s palate. Her performance on her cooking show was courageous, and hilarious. Julia, in the midst of explaining some culinary technique, dropping a goose to the floor, and simply picking it up and continuing on as though nothing had happened. The woman was unflappable. Nora Ephron’s immensely popular 2009 film Julie & Julia introduced a whole new generation to Child, delivered by Meryl Streep’s uncanny performance. Julia was married to State Department “Spook” Paul Child, and the couple suffered greatly at the hands of Tail Gunner Joe McCarthy and his House Un-American Activities Committee. After all, the Childs hosted dinner parties where many languages were spoken, and by people who might, at one time or another, have listened to classical music – grounds for suspicion in post WWII America. But most importantly, Julia was a gal who liked a good party. Mercurial trial attorney, charter member of the ACLU, and defender of the undefendable – Sometimes referred to as Attorney for the Damned. Darrow argued for the defense in two of the most notorious trials of the Twentieth Century. First, the Scopes Monkey Trial. John Thomas Scopes, a young high school science teacher, was accused of teaching evolution in violation of a Tennessee state law. In Tennessee, in 1925, a state law had been passed making it a misdemeanor to teach, in public school, any theory that contradicted divine law, as written in The Bible. What began as a small incident, mushroomed into a national circus, as both sides brought in their giants. Darrow in the defense of young Scopes, espousing science and reason; and William Jennings Bryan, Bible Thumper supreme and two-time presidential candidate, to argue for Leviticus and Deuteronomy. It was the first trial to be broadcast on radio. Scopes was of course found guilty, and fined $100, which Darrow refused to pay. But Bryan and his Bible Thumpers were made to appear foolish in front of a national radio audience. The court’s ruling was finally overturned in 1968. The second was the Chicago Thrill Killer Trial. On May 21, 1924, two wealthy Chicago teenagers, Nathan Leopold and Richard Loeb, decided to commit the perfect crime. They would murder without motive, save for the thrill of it. They lured a 14 year old Bobby Franks to a remote area and killed him, hid the corpse, and thought they had covered their tracks. But the body was found, and evidence revealed Leopold and Loeb’s involvement. There was no doubt of the thrill killer’s guilt, so Darrow surprised the nation by entering a plea of guilty. The Chicago District Attorney wanted the boys to hang, and Darrow was a staunch advocate against the death penalty, so the trial became, not just about a senseless and brutal murder, Darrow had put the death penalty itself on trial. On August 22, Darrow gave his final summation. It lasted two hours, and is often referred to as Darrow’s greatest piece of legal oratory. The judge ruled for life in prison, and Darrow had won one of his greatest legal victories. 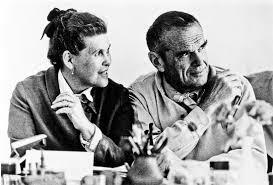 The husband and wife team of Charles and Ray Eames were industrial and graphic designers, artists, film makers, and joyful creative mavericks. Eames brought fun to furniture. His design genius reshaped the way we looked at structures and the furnishings that filled them. Greatly influenced by architect Eliel Saarinen, and his son Eero, who would become Eames’ partner in many projects. But more than anything, Eames was not afraid of fun, which influenced everything he created. Somehow, I think he would get along well with Julia and Clarence Darrow, and I can’t wait for the banter between courses. Theoretical Physicist, raconteur, and bongo drum aficionado, Feynman will probably be best remembered for his testimony before a Congressional committee investigating the Space Shuttle Challenger disaster. He had figured out what had happened, and his name would be forever linked with O-rings, the rubber sealers that failed because they were temperature sensitive, a fact that NASA had overlooked. But beyond being a genius, I’m thinking that this dinner needs a bongo drum player. Born Samuel Wilder in Sucha Beskidzka, Poland, Wilder would live to become one of Hollywood’s greatest directors, and his undeniable talent as a raconteur would make him a mainstay on Tinseltown’s dinner circuit. If Wilder couldn’t make it, Arthur Hornblow Jr, Hollywood’s storied dinner host, would simply cancel the event, or reschedule for when Billy had some free time. If you were planning an event like mine, wouldn’t you want Hollywood’s greatest story teller? This entry was posted on April 18, 2016 by shauncostello. It was filed under Fiction and non-fiction from Shaun Costello, Uncategorized and was tagged with Algonquin Round Table, Billy Wilder, Charles Eames, Clarence Darrow, Dinner Guests., Dorothy Parker, House Un-American Activities Committee., Julia Child, My Three Dinner Guests, Nathan Leopold, O-Rings, Paul Child, Ray Eames, Richard Feynman, Richard Loeb, Scopes Monkey Trial, Space Shuttle Challenger, Thrill Killers Trial. Dear demented liberal brother…Jesus is not a dinosaur…a dinosaur is extinct…Jesus is very much alive in this world…your dinner guests seem all to be old, white, dried up liberal, radical, gay, and passe…what a boring group…you need Reagan, Cruz, Patton, and me! 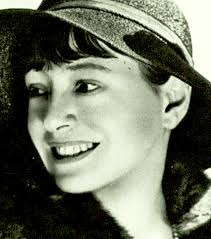 Dorothy Parker would be numero uno at my table. Hey Shaun, I liked your list. I would have Dorothy and Billy as my dinner guests if they weren’t too full from yours. Crashing your party as the cook. But only if i can hear EVERYTHING from the hottest part of the kitchen. You’d be a welcome addition, Sue.